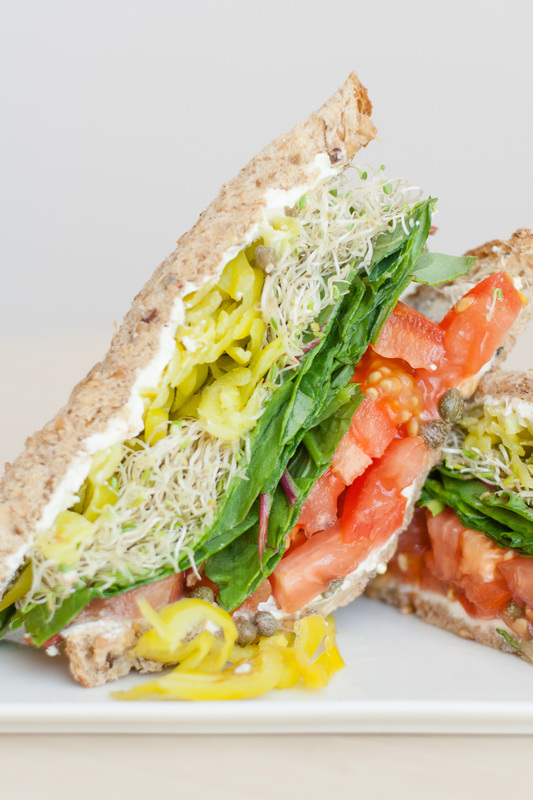 Great veggie sandwiches are made even better with the crisp crunch of Giuliano’s Sliced Pepperoncini. This easy recipe is sure to turn even the traditionalist into a convert! 1. Spread cream cheese on both slices of bread. 2. Sprinkle capers onto bottom bread slice. 3. Top with heirloom tomato, greens, sprouts, sliced peperoncini and other bread slice. 4. Cut in half and devour!